A modern curriculum as well as teaching methods and student assessment, modeled on the best educational institutions of this type in Europe and the world (Faculty of Economics in Banja Luka is a pioneer of implementing the provisions of the Bologna Declaration in the RS and BiH). The lecturers are distinguished experts in the field they teach, and successful businessmen – so we have a unique compound of science and practice. Large space capacity of over 4,000m2, which allows convenient and continuous implementation of teaching and extracurricular activities. The Faculty has no architectural barriers, and with a panoramic elevator allows students with disabilities to have the access to amphitheaters and classrooms. 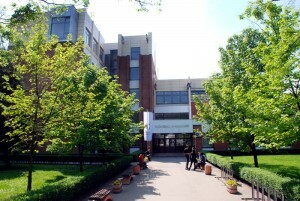 High-level technical equipment (computer classrooms with new computers, projectors, laptop computers, scanners, Internet connection, etc.). The possibility of going abroad for various seminars, training, etc. 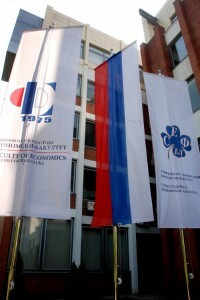 through the Students’ Union of the Faculty of Economics, AIESEC, or some of the organizations we have cooperation with. Continuous performance of a modern teaching process, harmonized with the requirements of the industry and in accordance with all provisions of the Bologna process. Introduction of the European quality standards for the studies of I, II and III cycle. Provision of personnel and material conditions that will enable the realization of the main objective. UNIBL International MBA programme entirely taught in English is highly demanding programme specially designed for experienced professionals who want to make a significant change in their careers. The course content and the focus on personal and professional development provide participants with a new vision and new ambitions. In addition, each MBA participant brings a wealth of knowledge to the programme, as there is continuous share of career and life experiences.